3 ingredients that separate the posers from bona fide clean. With personal care product labels freely calling out labels like “clean,” “non-toxic,” “natural,” and even “organic” how does one really know if the brand is authentic or just trying to catch the natural beauty wave? In cosmetics, unlike food, these terms are not regulated unless certification is secured. And, even then, certifications can be dicey, so it’s confusing for the consumer. Today we are seeing a surge in brands trying to position their products as organic using words like “bio-organic” or applying insignias that look like organic certifications or green symbols designed to dupe us into thinking their product has achieved a highly regarded status. Even as regulations start to tighten up, there are still many companies that include the word “organic” or “natural” in their brand, product name or on their packaging, but they are not certified and their products can often contain chemical ingredients that pose harm to your health. Sound disheartening? Don’t be discouraged, as there are plenty of authentic brands, both established and emerging on the scene, that are passionate and working hard to craft you a truly clean set of options. You just need the tools to uncover them. In the United States, you have the USDA (United States Department of Agriculture). This organic seal and certification is the gold standard in organic skincare and is a trusted logo to look for. In the European Union, you have ECOCERT which is the largest organic certification organization in the world (founded in France, with offices globally including Canada) and considered a more sophisticated approach to cosmetic certification. Both of these bodies are highly dependable, however, keep in mind that these certifications are not always attainable. The process can be involved and expensive for small natural brands to secure. In many cases, the certification is not realistic as, depending on the brand’s formulations, many raw ingredients, especially rare ingredients, harvested in an organic nature, are not available in a certified organic format. So how can the consumer clear through the greenwashing clutter to take their clean beauty regime to the next level? Start by looking for brands that proudly state their products are free from Parabens, Sulfates, Petrochemicals, Artificial Fragrances, Silicones and Synthetic Dyes. Brands who proudly share that their ingredients are never grown using pesticides or extracted using chemical solvents and are organic wherever possible. Brands in this category almost always have adopted a Cruelty-Free philosophy as well. 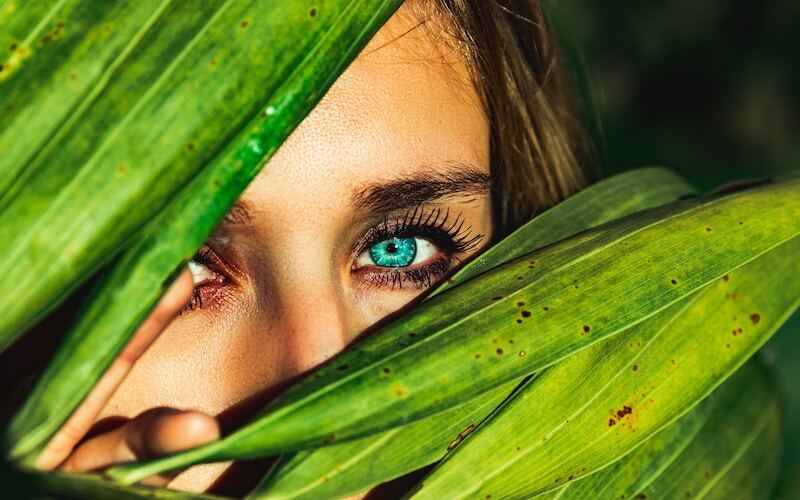 This all-encompassing approach has become the foundation for the green beauty industry and will put you in a territory of likely authentic players. Unfortunately, you still have some homework to do, because even with such a foundation in place, the brand could still be applying undesirable synthetic preservatives or other chemicals into the product’s formulation, which is a red flag and signifies that the brand just doesn’t get it. Specific ingredients to watch for here are Triclosan, Phenoxyethanol, and SLS/SLES. A commonly used antimicrobial agent found in many soaps, face cleansers, toothpaste, and deodorants. The Center for Disease Control and Prevention has identified triclosan in the urine of 75 percent people tested. Widespread use with few regulations has led to concerns regarding their effects on humans and the environment, such as endocrine disruption, bioaccumulation, and the emergence of bacteria resistant to antibodies. A synthetic ether alcohol and a petrochemical preservative. Often used as a preservative in cosmetic products and also as a stabilizer in perfumes and soaps. Studies have demonstrated that it can cause contact dermatitis, and damage reproductive, immune, and nervous systems. The EPA (Environmental Protection Agency) data sheets show chromosomal changes and genetic mutation effects in testing as well as testicular atrophy and interference with reproductivity in mice. It has been banned for use in certified organic skin care products by COSMOS, ECOCERT, and the new EU organic certification standard. Used in cosmetics as a detergent and also to make products bubble and foam, it is common in shampoos, shower gels, and facial cleansers. Depending on manufacturing processes, these may be contaminated with high amounts of ethylene oxide and 1,4-dioxane. The International Agency for Research on Cancer classified ethylene oxide as a known human carcinogen and 1,4-dioxane as a possible human carcinogen. Ethylene oxide can also harm the nervous system and the California Environmental Protection Agency has classified it as a possible developmental toxicant based on evidence that it may interfere with human development. 1,4-dioxane is also persistent, which means it doesn’t easily degrade and can remain in the environment long after it is rinsed away. Even though SLS / SLES has had significant buzz as a no-no in “natural” products many brands are still including using these lathering agents. Now, as you head down the aisle during your next shopping trip, you can look at brands with a new lens, and feel more confident when choosing your next purchase. 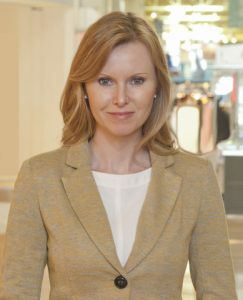 Jamie MacLean is a Certified Retail Property Executive and Senior Certified Marketing Director by the ICSC and has 21 years experience in the retail industry. She created PETAL & POST to bring to life her vision of offering the best luxury green beauty and eco-lifestyle products from around the world. The brands she chooses are the ones that meet her demanding criteria – they must excel in their genre, be ethically produced, deliver outstanding results and adhere to her Strict Ingredients Policy. Jamie has built upon the successful retail formula learned from her bricks and mortar past and has applied these principles to the online user experience; offering exceptional care and service to each and every customer.